Which Crimes Are Dealt with in Mental Health Courts in Arizona? Mental health courts in Arizona are expanding but not all defendants are eligible to use them. Defendants charged with the most serious crimes are typically not dealt with by mental health courts. Mental health courts are a diversionary program intended to give offenders an alternative to prison. More jurisdictions on Arizona have set up mental health courts in recent years. Mental health courts often help offenders charged with felonies. A report in the Arizona Sun about a court in Flagstaff noted there were 28 participants in the program representing 53 separate cases. Most of those taking part were charged with felonies. Crimes dealt with by the courts included aggravated assault, trafficking in stolen property, disorderly conduct with a weapon, domestic violence, aggravated DUI, possession of marijuana or methamphetamine, and arson. Pima County also has mental health courts. The county’s website states defendants determined to be seriously mentally ill (SMI) by the Regional Behavioral Health Authority are eligible. However, defendants charged with murder, sexual assault, child molestation, and some domestic violence crimes cannot enter the diversion program. In Pima County, defendants must have charges that are eligible for probation to apply for the mental health court. Defendants are transferred to the court and sentenced by a presiding mental health court judge. The court sets conditions for the defendant and provides a team of support professionals to help and monitor his or her progress. The court holds regular compliance hearings to monitor the defendant’s progress. In 2018, Pima County’s Attorney’s Office launched a misdemeanor problem-solving court. The new service provides mental health and substance use treatment, along with a range of other services, for high-risk or high-need defendants, many of them with mental illnesses. The service was launched with nearly $3 million in federal grant money awarded to the Pima County Attorney’s Office, reported Tuscon.com. Mental health courts play an important role in diverting offenders with certain mental disorders away from the prison system. If you or a family member believe you may be eligible, please contact our criminal defense team today at (602) 340-1999. How Often are Defendants Found Guilty Except Insane in Arizona? The guilty except insane defense in Arizona is used in a relatively small number of cases. GEI, also known as the insanity defense, is difficult to prove in our state. A report on PBS noted lawyers raise the insanity defense in less than 1 percent of felony cases nationwide and is successful in a fraction of these cases. An eight-state study commissioned by the National Institute of Mental Health revealed under 1 percent of cases involved the insanity defense. About a quarter of those cases were successful. The vast majority of those cases, about 90 percent, involved defendants who suffered a mental illness. How common is the Guilty Except Insane defense in Arizona? Arizona places limits on the insanity or guilty except insane offense. Four states – Kansas, Utah, Idaho, and Montana – have abolished the insanity defense. Nevertheless, defendants are allowed to present evidence of diminished mental capacity to negate the prosecution’s claim they acted with criminal intent. This evidence is barred from a trial in Arizona, making a GEI defense challenging to assert. The definition of a mental disease or defect does not include disorders caused by acute voluntary intoxication or withdrawal from drugs or alcohol, defects of character, psychosexual disorders or impulse control disorders. 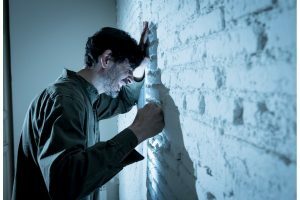 If you believe a family member suffers from a mental condition that warrants the insanity defense, it’s important to hire an Arizona criminal defense attorney who focuses on helping mentally ill defendants. Where a reasonable basis exists for a GEI plea in cases involving actual or threatened death or serious bodily harm, the court can appoint a qualified mental health expert, or commit the defendant for up to 30 days to a secure mental health facility for an evaluation. If a judge or jury finds the defendant to be guilty except insane the court is required to sentence the defendant to a confinement term equal to the prison sentence he or she would have served had they been found guilty. Previous felonies are not taken into consideration in the calculation of the term. GEI cases are complicated in Arizona. The odds are stacked against the defendant. It’s important to hire an attorney with considerable experience in this area. Bernardo Garcia has represented hundreds of people diagnosed with a mental illness over more than a quarter of a century of practice. Call him today at (602) 340-1999. A new book has raised fears about mental illness, marijuana, and violence. The book claims the drug may induce psychosis and schizophrenia in some users, in particular, young men in their 20s. However, the book by former New York Times reporter Alex Berenson has also provoked a backlash. Berenson’s book, Tell Your Children: The Truth About Marijuana, Mental Illness, and Violence draws on a body of research that links the use of the drug to mental disorders and violence. Adolescents were identified as being particularly vulnerable to harm because of the effects of cannabis on their neurological development. A report on NBC stated scientists have found a link between cannabis use and severe mental illness over two decades. Even in controlled laboratory settings, some people who were given THC, a psychoactive chemical in marijuana, experience hallucinations. The research suggested cannabis changes structures in the brain, contributing to mental illnesses. 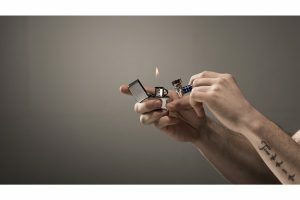 One study of more than 50,000 people indicated those who used cannabis during the teen years face a higher risk of developing schizophrenia. Berensen’s theory is that marijuana causes psychosis. Psychosis causes violence. The obvious implication is that marijuana causes violence. 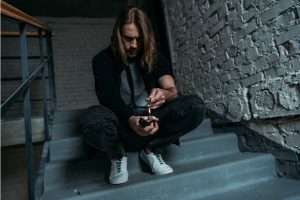 A report in Medical News Today suggested people who are prone to schizophrenia are more likely to take marijuana which, in turn, may increase the prospects of developing symptoms. Research shows cannabis use is more common among people with psychosis than among the general population. However, rather than alleviating symptoms it may increase the risk of psychosis. The study found cannabis can lower levels of the brain chemical dopamine. A reduction in dopamine is associated with fatigue, mood changes, depression, and lack of motivation. Conditions such as Parkinson’s disease, and attention deficit hyperactivity disorder entail low levels of dopamine. The book was published at a time when Canada has legalized recreational cannabis use along with western U.S. states including Colorado, California, Washington, and Nevada. An article in Vox questioned Berenson’s reasoning. It said the author overstated the link between marijuana and psychosis. Some articles have pointed to a link between mental illness and violence. Others found little link. However, studies are far from conclusive. 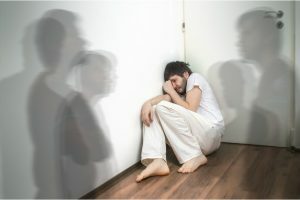 An article published in Acta Psychiatrica Scandinavica by a group of academics in Australia and the Institute of Psychiatry in London highlighted a correlation between untreated schizophrenia and higher levels of homicides. Other studies suggest people with untreated mental conditions are more likely to abuse drugs. If a family member with a mental disorder has been arrested in Arizona, it’s important to hire an attorney who is familiar with these cases. Call our Phoenix attorney today at (602) 340-1999. 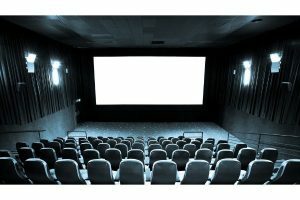 A high profile movie shown at The Sundance Festival recently highlighted the treatment of people with mental illness by America’s criminal justice system. Kenneth Rosenberg, a psychiatrist, and director of “Bedlam,” highlighted how the criminal justice system is failing the mentally ill at a movie showcased at the Sundance Festival earlier this year. Rosenberg described how Los Angeles County Jail in California, Rikers Island in New York City, and Harris County Jail in Texas house almost 44,000 people, reported Deseret News. The film highlights how many of these inmates suffer from mental illnesses including bipolar disorders, schizophrenia, and depression. Bedlam examines the dismantling of America’s mental care system that left prisons and jails as the front line for people with psychiatric problems. Rosenberg claims in the movie people who end up in jails frequently do so as a last resort. They cannot access the long-term healthcare they need and end up incarcerated after time on the streets or in emergency rooms. The film “Bedlam” is named after the infamous psychiatric hospital in London that housed people with mental disorders. The film describes the dismantling of a once-extensive network of state mental hospitals under President John F. Kennedy. The idea was to return people with mental illnesses into society and provide treatment through community mental health centers. The government withdrew federal funding from the centers in the 1980s. Many people with mental illnesses ended up on the streets and in jails and prisons. Rosenberg had first-hand experience of mental illness. His sister was diagnosed with schizophrenia and institutionalized when she was just 20-years-old. Thousands of people with mental illnesses are locked up in Arizona. In 2014, a report by the Treatment Advocacy Center found mentally ill people are 10 times more likely to end up in jails and prisons in Arizona. Nationally, about 26 percent of people who are locked up suffer from a mental health disorder, compared to 18 percent of the general public. An article in Arizona Senora News Service estimated more than 11,000 people in the state’s prisons suffer from a mental illness. The criminal justice system treats mental illness in a blunt way. At the Garcia Law Firm, we champion the rights of people with mental disorders. Please contact us today for a consultation if your loved one has been charged with a criminal offense. The holding of prisoners with mental illnesses in solitary confinement in Arizona has been controversial for many years. Solitary confinement in Maricopa County, in particular, has come under fire. Articles in the media have highlighted horrendous conditions in Maricopa jails including inmates held in filthy conditions and kept alone for long periods. Last year, Eric Balaban, a senior staff counsel with the National Prison Project of the American Civil Liberties Union, highlighted the horrendous conditions that mentally ill inmates in Maricopa County Jail’s Special Management Unit face. He called for an end of the practice of inmates with mental illness being held on their own in cells. Last year, an investigation in The Guardian pointed out over 4,000 prisoners with serious mental illness were held in solitary confinement in jails and prisons in the United States. Law researchers at Yale University joined forces with the Association of State Correctional Administrators (ASCA). The survey revealed shocking findings. The research team found prisoners with severe mental health issues are being kept in isolation for at least 22 hours a day. They are often held alone for as long as 15 continuous days. Arizona is not alone in using solitary confinement. The ASCA and Arthur Liman Center at Yale law school found that most U.S. states hold mentally ill individuals in isolation. Of 33 states that responded to the survey, only Texas said it does not hold people with mental illnesses in isolation. It is deeply disturbing that states such as Arizona continue to hold people with mental illnesses in solitary confinement instead of seeking to address their issues. Judith Resnik, a law professor at Yale warned solitary confinement has a terrible impact on inmates and exacerbates their mental health issues. She said. 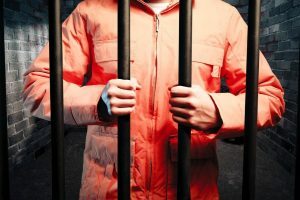 Research points to the harmful effects of solitary confinement on the mentally ill. A study carried out on behalf of the New York jails system found inmates held alone are seven times more likely to harm themselves than the general prison population. Solitary confinement in Maricopa County has come under fire from a range of sources. Last year, Brianna Westbrook, a transgender activist arrested during a protest in October claimed Maricopa County jail guards discriminated against her by putting her in solitary confinement due to her gender identity. If you or a family member with a mental illness has been arrested in Maricopa County, please call the Garcia Law Firm at (602) 340-1999. Can Mentally Ill People be Imprisoned for Theft in Arizona? Theft in Arizona is one of the most common offenses in the state. The fact that the courts deal with thousands of theft charges every year does not mean you will be treated lightly. Mentally ill people can be imprisoned for theft in Arizona. Under the law of Arizona, theft of property or services valued at $25,000 or more is a class 2 felony. This offense carries a minimum of three years and a maximum of 12.5 years, as well as a fine of up to $150,000 under § 13-702(D). Theft of services or property above $4,000 but under $25,000 is charged as a class 3 felony carrying a prison sentence of up to 8.75 years. Theft of property or services over $3,000 but below $4,000 is a class 4 felony that carries a potential prison sentence of up to 3.75 years. Theft of services or property over $2,000 but under $3,000 is a Class 5 felony carrying a prison sentence of up to 2.5 years while you can spend up to two years in prison for a Class 6 felony theft of goods or services valued at $1,000 to $1,999. Stealing a vehicle transmission or an engine is charged as a Class 4 felony irrespective of the value of the engine. Theft of any property or services valued at less than $1,000 is a class 1 misdemeanor. It carries a potential prison sentence of up to six months in prison. Mentally ill people often face theft charges. Often they are not aware of the potentially serious consequences of the offense. It is unfair and counterproductive for people with mental illnesses to face jail time for non-violent crimes like theft. When a defendant cannot understand the charges he or she is facing and is unable to assist his counsel, competency to stand trial becomes an issue. Any party to the case may file a motion seeking a determination of the competency of the defendant. Mentally ill people can be imprisoned for theft in Arizona. Our defense attorney aims to keep defendants with mental health issues out of prison. If you or a family member has been accused of theft, please call us at (602) 340-1999. How do the Arizona Courts Treat Juvenile Defendants with Mental Illnesses? Many young people with mental illnesses end up in the Arizona courts. According to the AMA Journal of Ethics, about 70 percent of youth involved with the justice system face at least one mental health issue compared to just 22 percent of youth in the general population. Juvenile defendants with mental illnesses may be treated differently to other offenders and end up in diversionary programs that keep them out of incarceration. However, when a juvenile offender with a mental health condition appears in a juvenile court, the judge considers a range of issues including mental health evaluations, the young person’s prior history, and psychological testing. Arizona has developed procedures to identify young people with mental health issues in the criminal justice system. The National Conference of State Legislatures in its report Mental Health Needs of Juvenile Offenders points out Arizona, Colorado, California, and New Hampshire implemented courtroom procedures for attorneys and judges to request mental health screenings for juveniles caught up in delinquency proceedings. Arizona is one of at least 10 states to address competency in its juvenile delinquency statute. Arizona states a juvenile does not need to have an underlying mental defect, disease, or disability to be found incompetent. The report points out a failure to address and treat mental health issues at an early age can be devastating for young people later in life. Children with unaddressed mental health needs may enter a juvenile justice system ill-equipped to help them. Institutions often release them without access to ongoing mental health treatment. While Arizona has diversion programs, the state lags behind neighbors like California in the provision of mental health courts for juveniles. The experienced mental health lawyer at the Garcia Law Firm can help ensure a juvenile family member’s needs are met in the criminal justice system. Call us at (602) 340-1999. If Someone is SMI, Does that Make Him Incompetent in Arizona? Serious mental illness (SMI) is a term used people who have certain mental health diagnoses in Arizona. They struggle to keep control of their lives because of the condition. The fact a defendant is diagnosed with SMI does not automatically mean he will be ruled incompetent in a criminal proceeding. His attorney may have grounds to make the case if his condition is severe enough. Does an SMI mean incompetence in Arizona? During a criminal proceeding in Arizona, the defense attorney may ask for a Rule 11 evaluation of his client when SMI is an issue. Under Rule 11, known as the competency rule, the defendant has the right to a full mental examination and hearing if reasonable grounds exist for it. Rule 11 hearings usually take place when a defendant is believed to be mentally incompetent. Substantial evidence of mental incompetence is required by medical professionals. A hearing takes place when reasonable grounds exist to suggest the defendant is not able to understand the nature of the criminal proceeding against him or to assist in his or her defense. This is not always synonymous with serious mental illness. Some people who are SMI are capable of understanding the criminal proceedings and can give coherent help and advice to their legal representatives. Some serious mental illnesses involve mood swings and periods of incapacity as well as lucid periods. Rule 11 was enacted to make sure the defendant has the mental ability to understand what is going on around him. Criminal trials are adversarial and can disadvantage people who are not aware of what’s happening. Once a motion has been entered under Rule 11, the court will determine whether reasonable grounds exist to examine the defendant for competency. The court requires “sufficient evidence” to determine if reasonable grounds exist for a competency hearing. 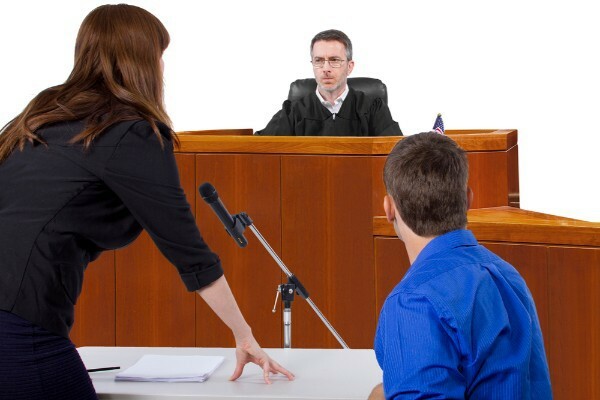 The court often appoints an expert to conduct a preliminary examination. The Crisis Response Network characterizes a “serious mental illness” as a condition that leaves sufferers unable to look after themselves. They may attempt suicide or have suicidal thoughts due to the condition. Acts of self-harm are an indicator of SMI. They may resort to drug abuse. Although some people who are ruled incompetent in Arizona may suffer from these behaviors, being SMI does not necessarily mean you are unable to understand what’s going on in the courtroom. Competency proceedings are complicated and difficult for family members. If your family member has been arrested and is suffering from a mental health condition, please call our Phoenix defense attorney as soon as possible at (602) 340-1999. People caught in possession of methamphetamine in Arizona face extremely tough sentences. The state has some of the strictest laws for meth possession in the nation on its statute books. Methamphetamine is a highly addictive, manufactured drug. It is also known as meth, chalk, crystal or ice. The drug is a stimulant that affects the central nervous system. Possession of meth is taken very seriously. The drug was not included in reforms of sentencing for drugs offenses in Arizona in the 1990s. In 1996, Arizona passed a law known as “Proposition 200.” The law benefitted many first-time drug offenders, convicted of a low-level offense like possession allowing them to receive probation and avoiding jail time. Arizona enacted Proposition 301 in 2006 as part of the war on meth at a time when the drug was making its way across the Mexican border from so-called ‘super labs.’ The law means people charged with possession of methamphetamine face prison even as first time offenders. The ballot directly addressed the Drug Medicalization, Prevention and Control Act of 1996 that allows probation for many people arrested for first and second offense drug possession. It exempted people charged with meth possession allowing them to be sentenced to a jail term for a first offense. People who are convicted of meth possession can be imprisoned for a first offense. The drug was not included in the reforms because meth labs were appearing across Arizona and legislators were concerned about the drug. Arizona’s approach to meth is consistent with many other states that take a hard line with users and distributors of this highly addictive drug. People who are charged with meth offenses may also be linked to associated crimes. It’s not unusual for people who are charged with possession of the drug to be driving under its influence or carrying drug paraphernalia like pipes or firearms. Meth is classified under Arizona law as a “dangerous drug.” If you are caught in possession of a dangerous drug for personal use, you will be charged with a Class 4 Felony. A Class 4 felony carries a potential prison term up to 3.75 years. The courts consider motions for first time drug possession to have their charge reduced to a class 1 misdemeanor carrying a probation term unless the drug involved is methamphetamine, lysergic acid diethylamide, amphetamine or phencyclidine, according to state law. People convicted of a first offense of possession of meth for sale, equipment or chemicals to make meth, manufacture of the drug or transportation or importation face a minimum of five years in prison, a presumptive sentence of 10 years and a maximum of 15. Defendants charged with these offenses on a second occasion face a minimum sentence of 10 years in prison, a presumptive sentence of 15 years, and a maximum sentence of 20 years. Arizona’s criminal justice system can be unforgiving for drug offenses. Often people who suffer from mental illnesses are also drug dependent. You should take methamphetamine possession charges seriously in Arizona. Call our experienced criminal defense team as soon as possible at (602) 340-1999. Defendants who plead insanity in Arizona face numerous obstacles. Some of the issues they face infringe on the Fifth Amendment rights of the accused. A recent court ruling found defendants pleading insanity must disclose examination results in Arizona. The ruling by the Arizona Supreme Court in 2017 found defendants who voluntarily seek mental health examinations after filing an insanity defense must provide the results of the examination to the prosecution in their case. The ruling raised concerns that the defendants’ rights against self-incrimination could be violated. Since the ruling, defendants in criminal cases have had to give prosecutors any statements relating to the charges made during the mental health examination. The justices said forcing a defendant in a criminal case to provide results of a mental health examination would not be self-incriminating. They said the fact the insanity defense was used meant they would have waived their protection against self-incrimination. The court ruled prosecutors can only use the evidence from examinations to refute insanity claims rather than to prove guilt in these cases. Voluntary mental health examinations are distinct from those ordered by the court. The 2017 case concerned Josh Rasmussen who was indicted for armed robbery and felony murder. His lawyer consulted with several mental health experts about a possible insanity defense. The defense listed insanity, or guilty except insane, as a defense in the case. Rasmussen retained a psychologist to support his insanity defense. The state and Rasmussen agreed to an examination by a joint expert. Reports were prepared by both experts. A legal dispute ensured when the state requested copies of both reports compiled by experts. Rasmussen’s lawyers produced copies but redacted Rasmussen’s statements. At the Garcia Law Firm, we vigorously defend the rights of mentally ill people in the criminal justice system. We will answer your questions about mental health examination results in Arizona Call us for a consultation at (602) 340-1999.